Participating businesses will offer discounts between Jan 2 - Feb 28, 2019 unless specified below. Discount cards will be given when you shop during the holiday season. 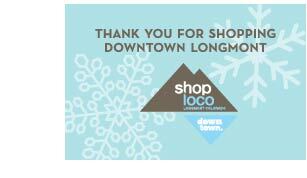 Shop local, shop small! You MUST have a card to redeem offer at any of the businesses. Contact businesses directly for offer terms and conditions. Jefe's Tacos & Tequila - FREE Chips & Queso or FREE Guacamole with purchase of two entrees. Magic Fairy Candles - BOGO - buy 1 candle and get the second one FREE!